Sarawak Cultural Village is tucked away on the foothills of Mount Santubong at Damai Beach, 35 km north from Kuching. It is also known as a living museum. 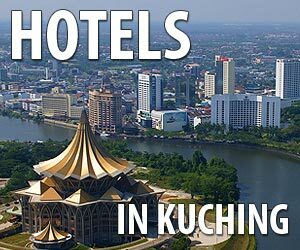 Among others you can find houses built by the different people of Sarawak - Orang Ulu, Bidayauh, Iban and Melanau - as well as Chinese and Malay houses. 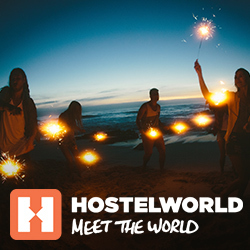 It is also the location of the famous Rainforest World Music Festival every july. Free for Children aged under 6. *Sarawak Ethnic Kitchen: Steamed White Rice, Chicken Cooked in Bamboo, Fish Cooked with Golden Brinjal, Beef cooked with wild ginger root, Wild Pern Pumpkin cooked with coconut, Fresh Raw Fish With Lime, Local Fruit and cordial drink. 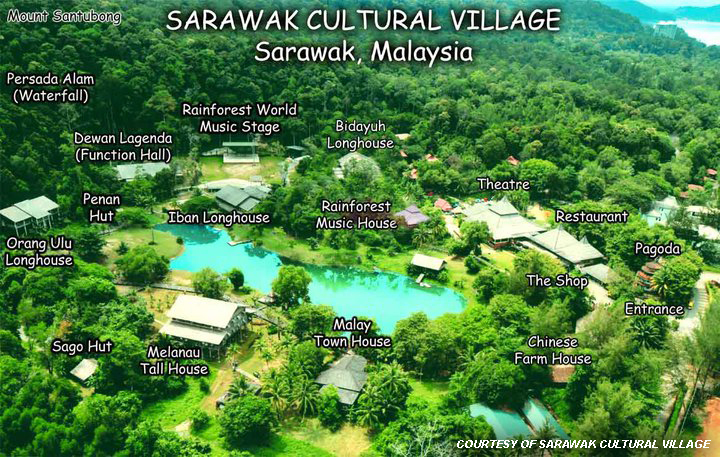 The Sarawak Cultural Village location of the renowned Rainforest World Music Festival every july. 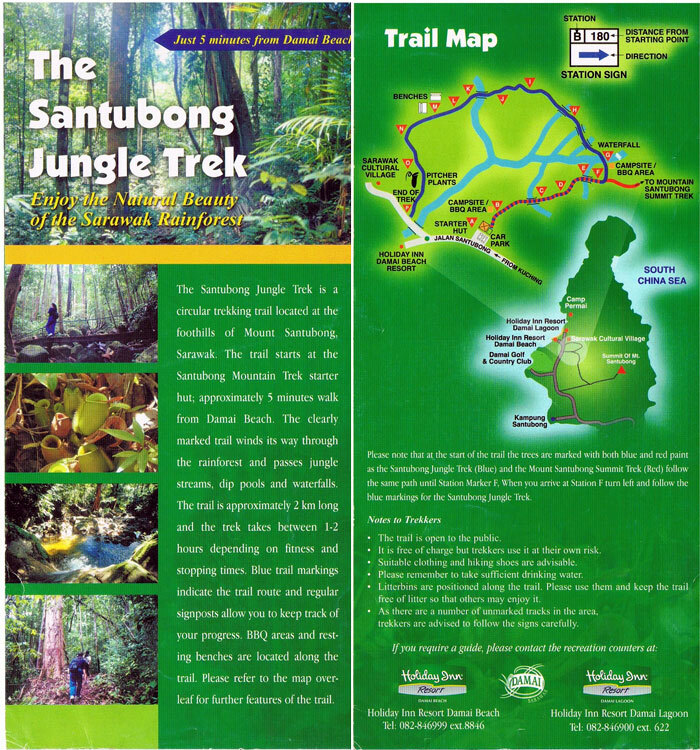 The content and images of this flyer / brochure are courtesy of: © Sarawak Cultural Village It was released sometime around 2010. Some information might not be up-to-date anymore. The content and images of this flyer / brochure are courtesy of: © unknown It was released sometime around 2010. Some information might not be up-to-date anymore. Lake Titiwangsa - also known as Taman Tasik Titiwangsa - is a recreational park and lake north of downtown Kuala Lumpur with good photo opportunities and the adjacent Istana Budaya, an arts and culture centre. Vibrant, colourful and culturally authentic neighbourhood of the Indian community in Singapore with plenty of shops, temples and restaurants. It is also a center of backpacker accommodations.